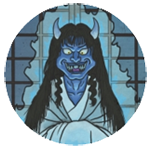 APPEARANCE: Kosenjōbi are a type of onibi, or demon fire. They gather in places were bloody battles have been fought. 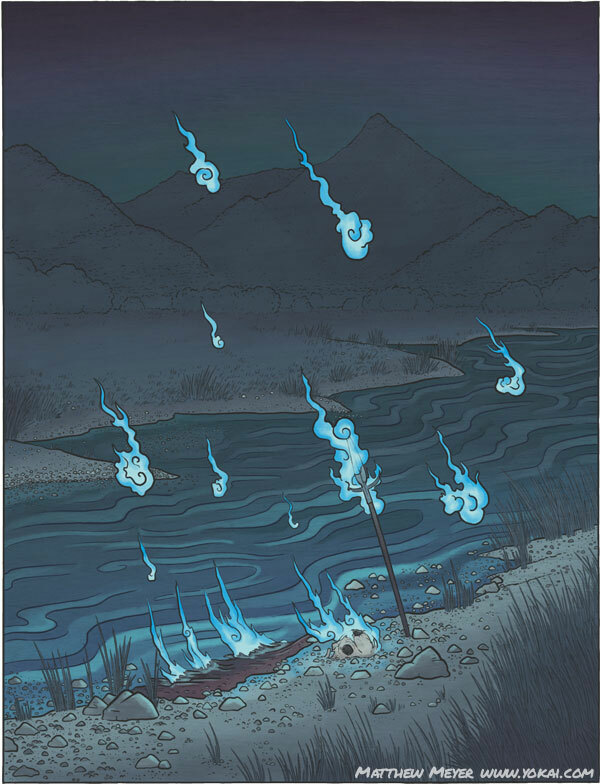 Kosenjōbi appear as countless orbs of flame which float about aimlessly through the air. BEHAVIOR: Kosenjōbi are formed from the blood of the countless warriors and animals which died in battle and never passed on to Nirvana. The blood soaks into the earth and rises up into the air at night. It creates fiery shapes. 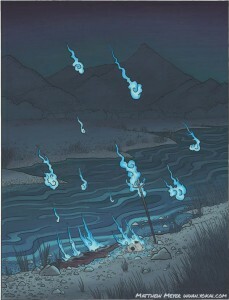 Kosenjōbi occasionally take on the form of wounded warriors and animals. These phantoms search for their missing body parts or just wander forlornly across the battlefield.